The Z264 is a direct express train service operated by China Railway connecting Guangzhou to Lhasa in Tibet. It is the fourth longest train journey in the world, 4,980 km on a scheduled time of 53 hours and 20 minutes, which means 3 days and 2 nights. 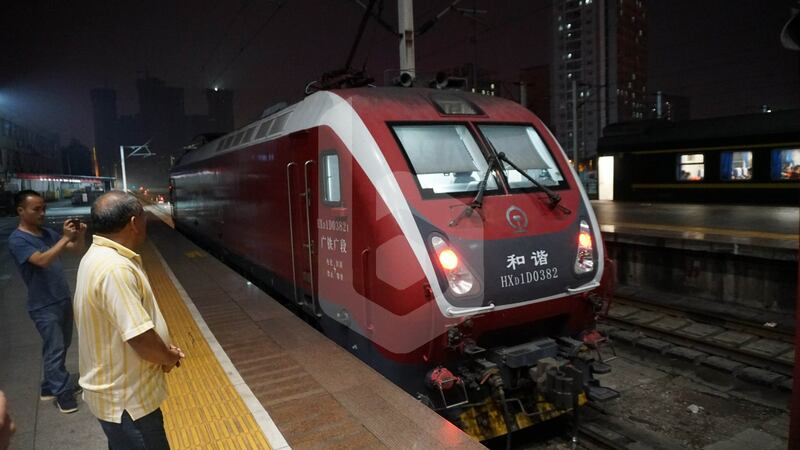 Due to its lengthy route, this service is one of the top priority Z-class trains in China, stopping in key cities, namely Chenzhou, Changsha, Wuhan, Zhengzhou, Xi’an, Lanzhou and Xining. 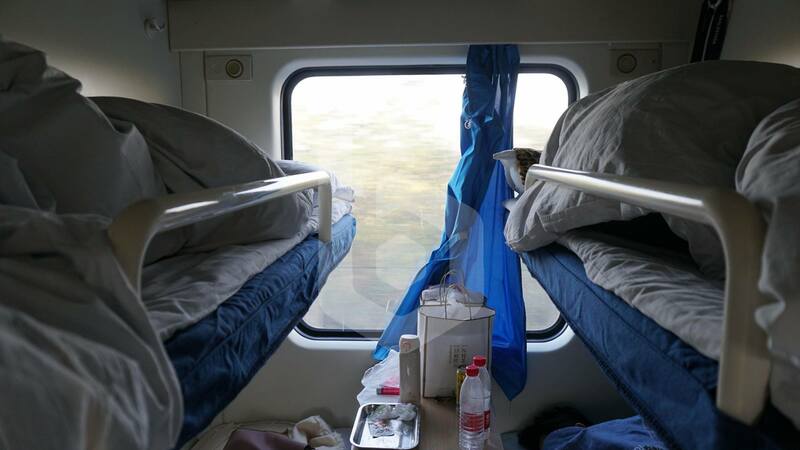 Once in Xining, passengers interchange trains to a diesel locomotive pulled train designed for the Qinghai–Tibet railway, still using the same train number and same seats/beds as printed on the ticket. 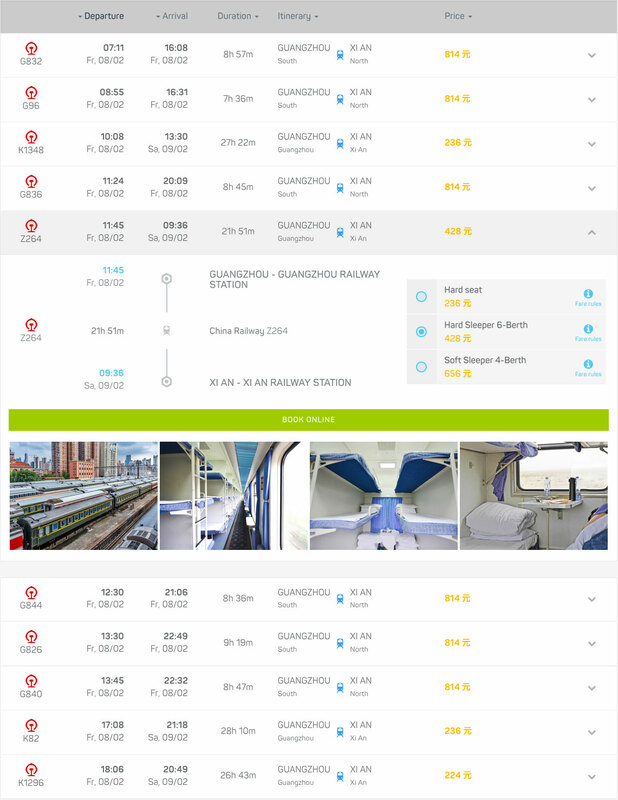 Now you can easily book your train tickets in China with Baolau. 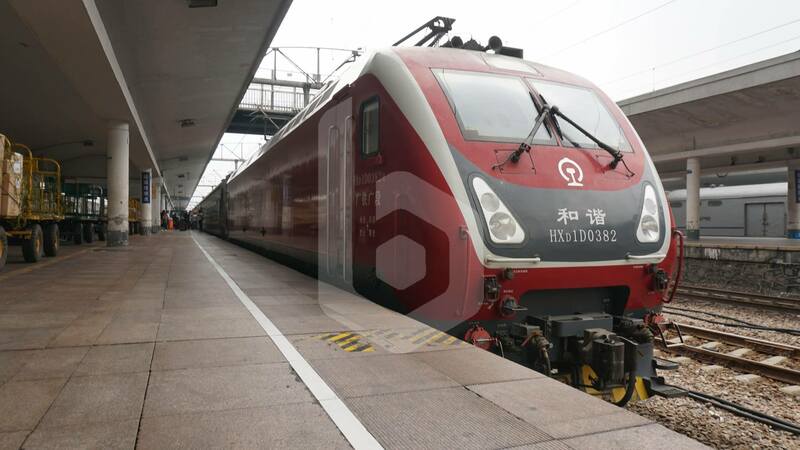 China Railway operates different types of conventional trains, express and fast services, designated with classes K, T and Z. Z-series trains provide a direct express service between two cities with few or no stops, at maximum speed of 160 km/h. 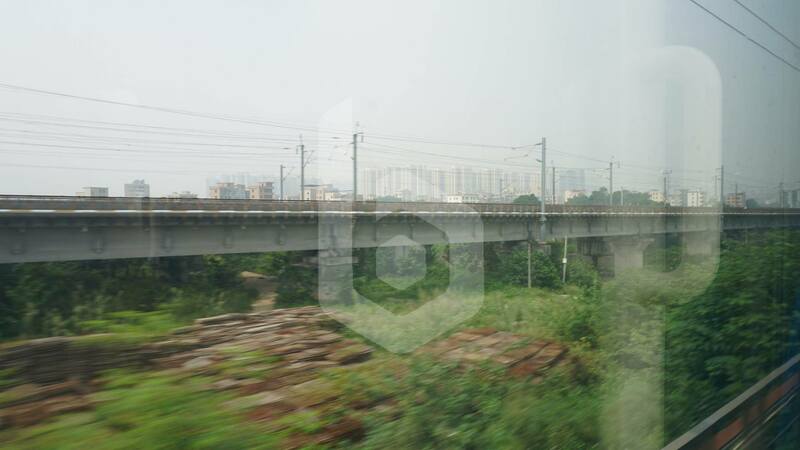 In this journey, we will be taking the Z264 train from Guangzhou to Xi’an, with a total travel time of 22 hours. That is not even half of the journey to Lhasa! 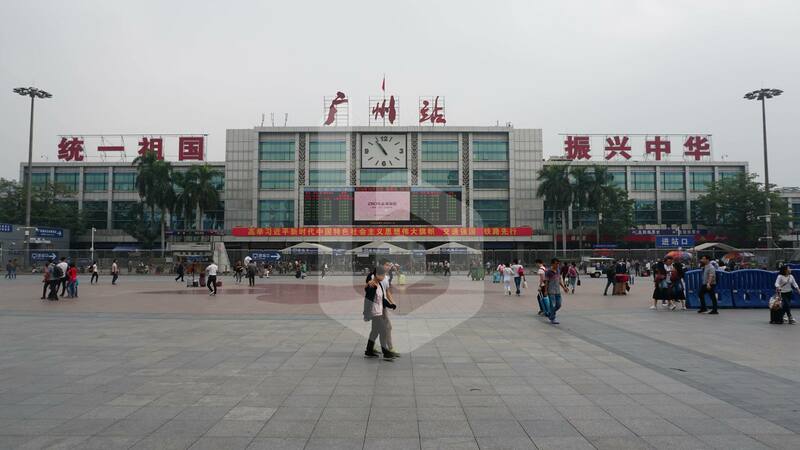 Guangzhou Railway Station is the main railway station in Guangzhou, located in Yuexiu district of Guangzhou and served by Line 2 and Line 5 of the Guangzhou Metro linking with Guangzhou South Railway Station. 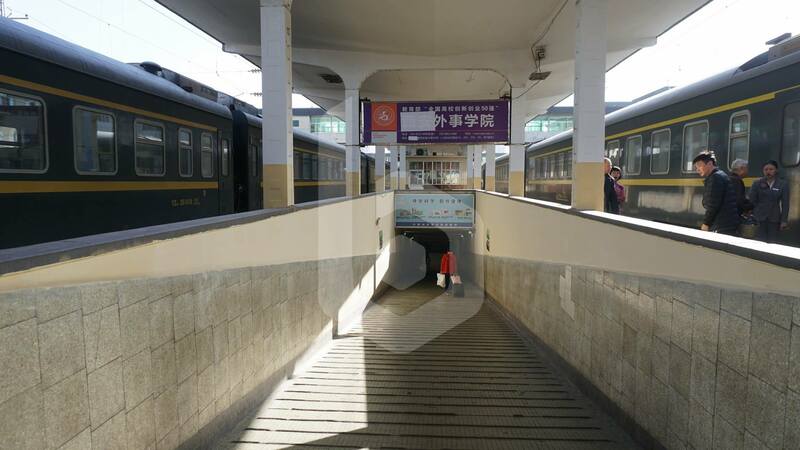 This station accommodates most of the conventional trains from and to Guangzhou. 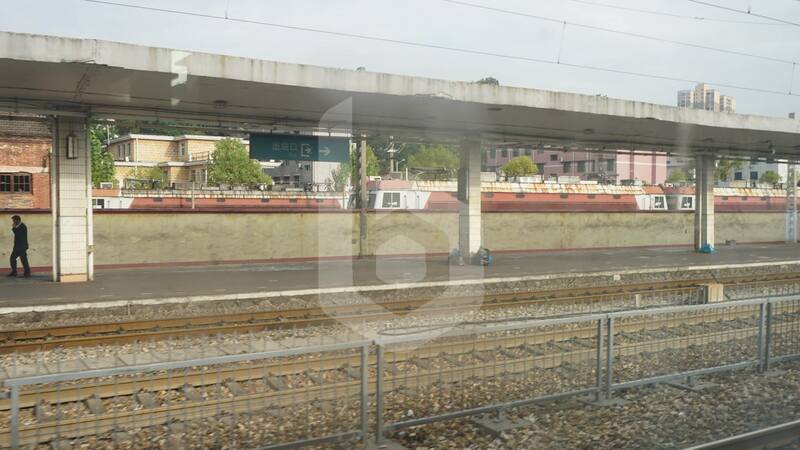 Plenty of CRH trains to Shenzhen on the Guangzhou–Shenzhen railway Line, Guangzhou–Zhaoqing intercity Line, and some D-series to Southwestern China such as Chengdu, Guilin, Guiyang, and Nanning also call at this station. To enter the station courtyard, you must go through a security screening by the local police. 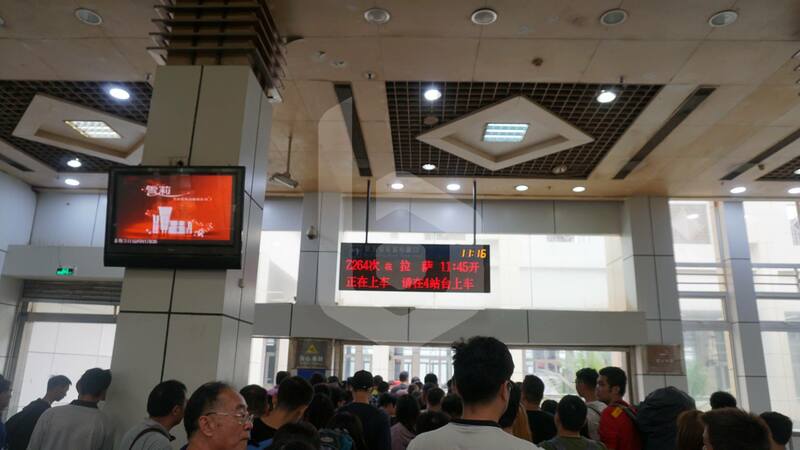 Proceed to the ticket counters to purchase your ticket or, if you book your train tickets online with Baolau, present the printed copy of our electronic voucher containing the ticket collection number along with your passport to claim the physical ticket. With your train ticket in hand, proceed into the station building, where there is another security screening and ticket checking. The staff will check that the train tickets match with the passport document. In the center of the station hall, there is a large information screen. To find out your boarding gate, look at the third column. The Chinese characters 一 (1) and 二 (2) identify the floor level where the boarding gate is. The numerals in the same row, 1 to 9, show the boarding gate. If the train number is highlighted in red, it means that the status is now boarding and you should rush to the boarding gate or alternatively use the central gate. 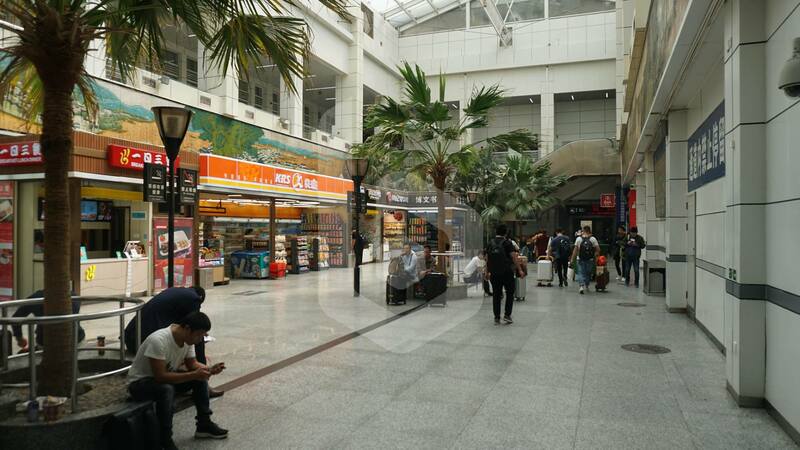 If you arrive with plenty of time before departure, you may want to check the shops, restaurants and convenience stores inside the station. Our train Z264 departs from the boarding gate number 5 on the level 2 of the station. In the boarding gate, there are many seats and passengers wandering around the waiting room. Once the boarding commences, queue and show your boarding pass to the staff at the gate, then head down to level 1 to access the platforms. Find the platform where your train will depart from. All boarding gates will lead to this corridor, including the central gate. The Z264 train is ready for departure at platform 4. 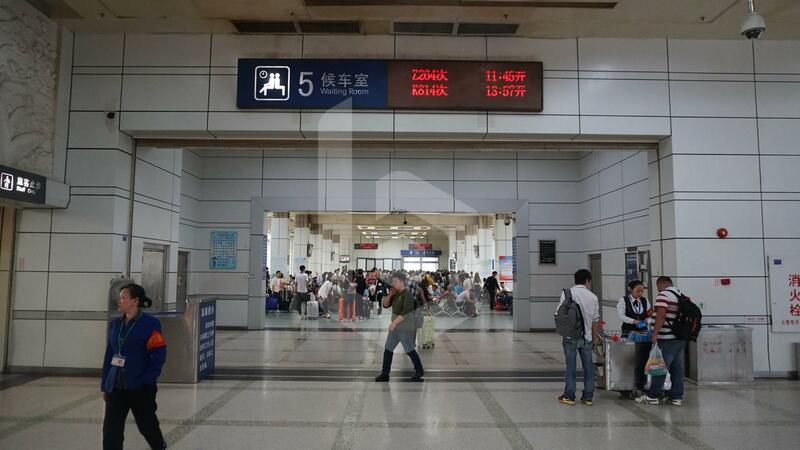 In summary, our train departs from level 2, gate 5, and platform 4 of Guangzhou Railway Station. 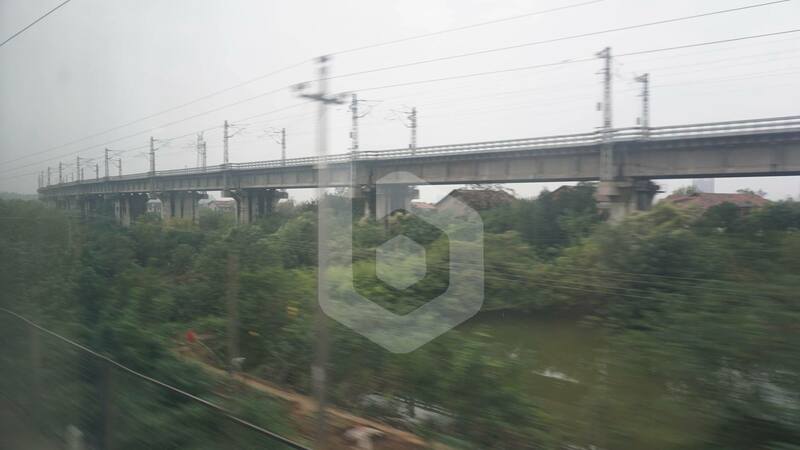 The train is hauled by a HXD1D electric locomotive on the section from Guangzhou to Wuchang. 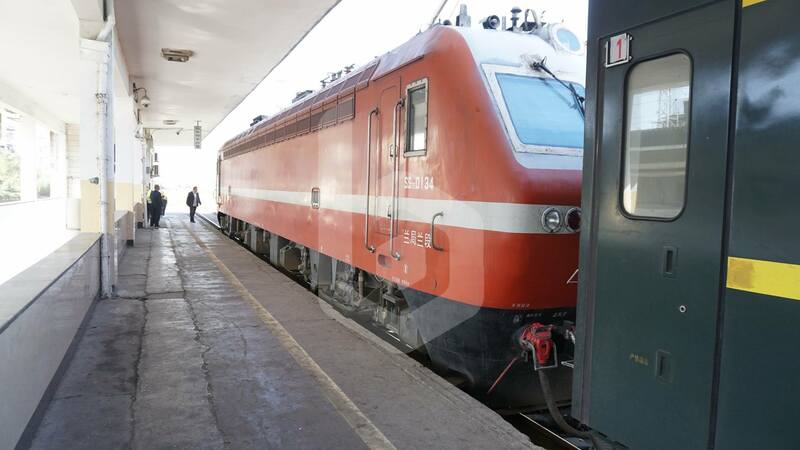 This is the first of 4 locomotives that will haul the Z264 train all the way to Lhasa. 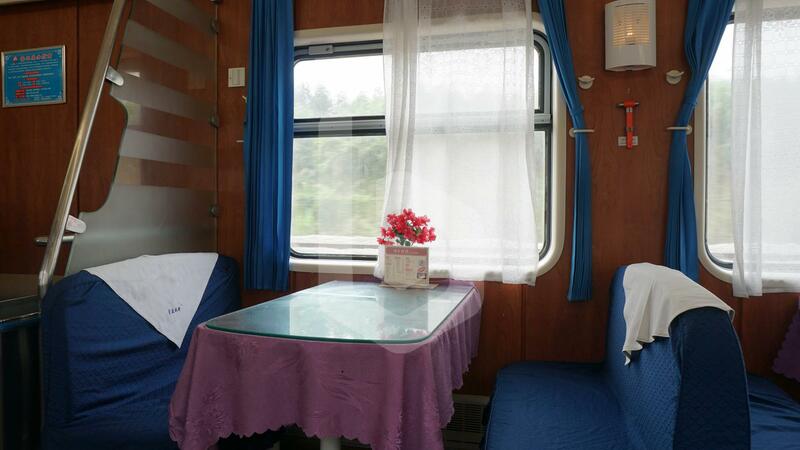 The Z-class train consists of 3 types of passenger coaches: Soft sleeper, Hard sleeper and Hard seat. Find your coach number printed in your ticket and head to the corresponding door. Show the boarding pass to the crew standing at the door. If you are in the wrong coach, they will kindly ask you to board through another door. 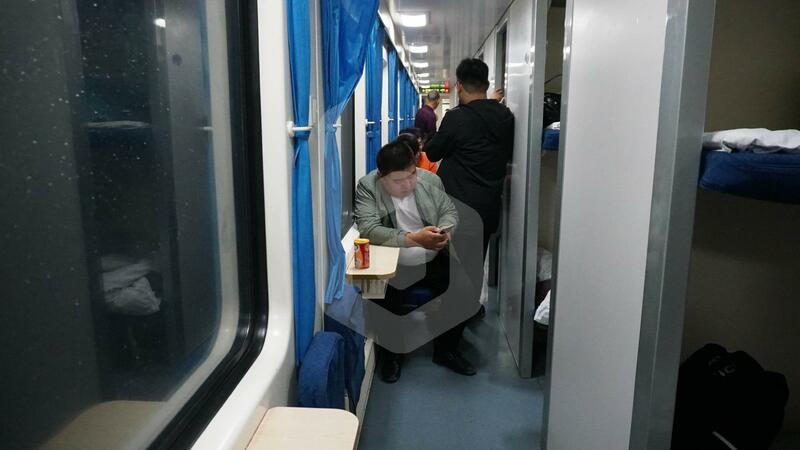 Passengers cannot board the train through any door and find the designated coach by moving inside the train. Each train crew standing at the door is assigned to that coach throughout the journey so be sure to smile as you board. 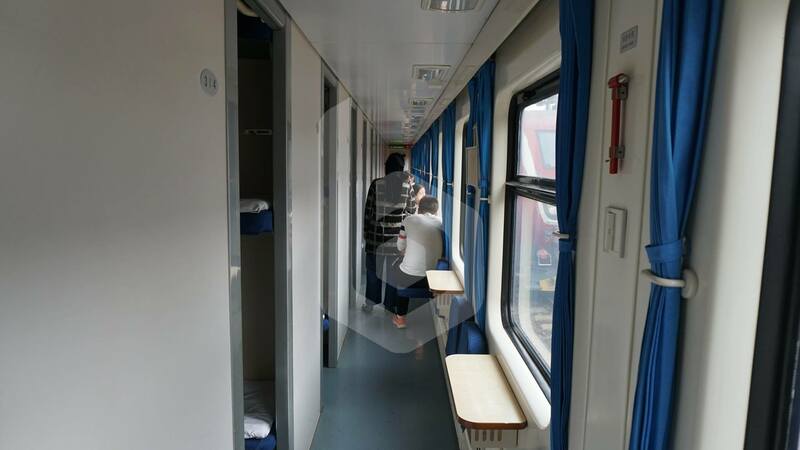 Onboard the Hard sleeper car, find your compartment printed in the ticket, as well as your berth number. 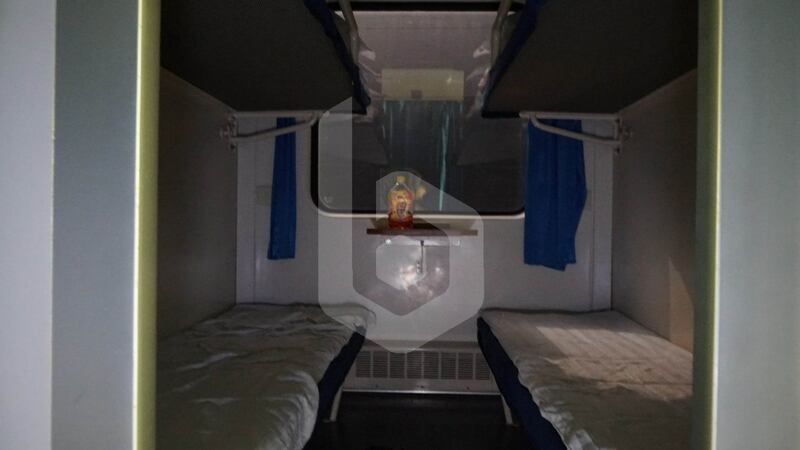 The Hard sleeper coach comprises of compartments with no doors, each having 6 bunk beds arranged in 3 berth levels: lower, middle, and upper. At the end of the coach you will find the washroom. 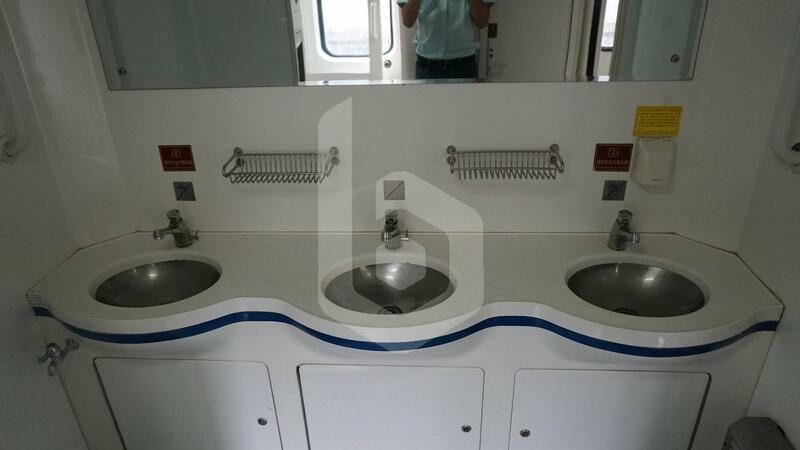 There are 3 sinks in the wash area. The squat toilet on this coach. 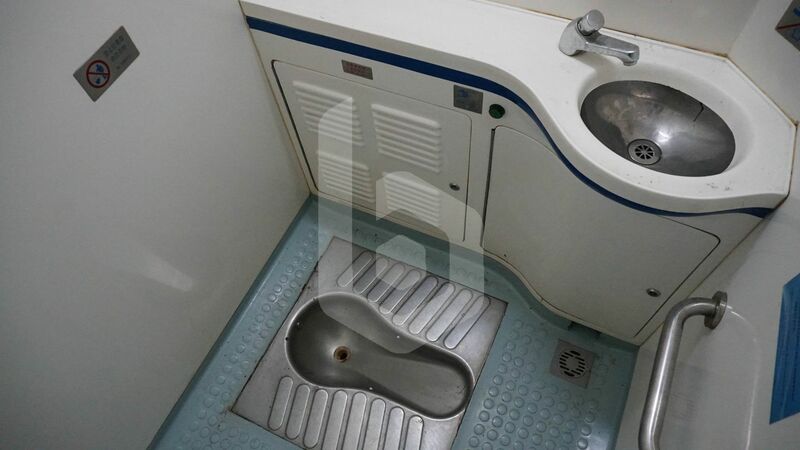 Some coaches have a Western-style sitting toilet as well meant for the disabled. 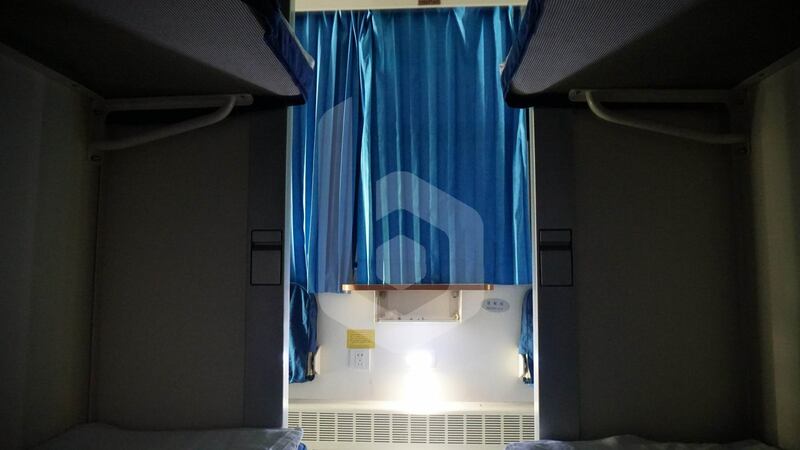 Passing through the Soft sleeper coach, which consists of closed compartments with 4 beds arranged in 2 berth levels: upper and lower. The Hard seat coach comprises of seats arranged in 3+2 row configuration facing each other. Some seats face the direction of travel, while others face the opposite direction. 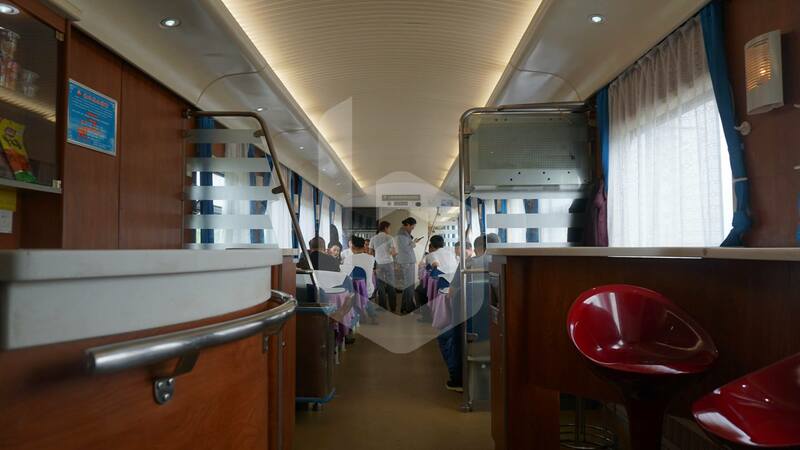 Finally, in between the passenger cars we find the Dining car, located in coach 7. 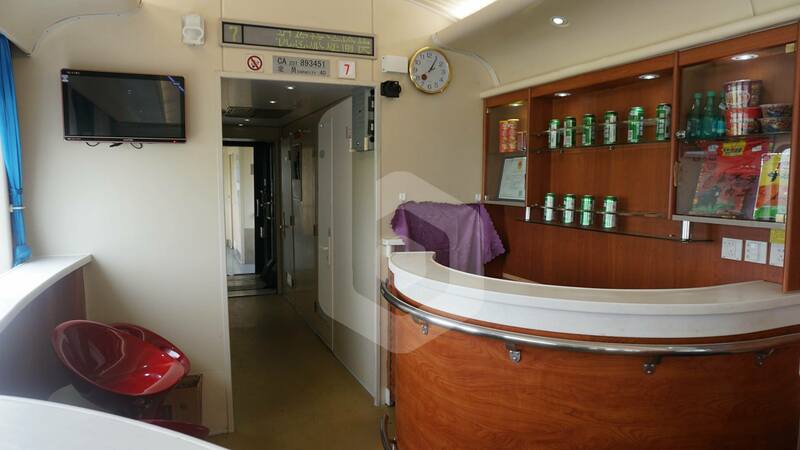 The dining car serves food and beverages. Unfortunately, the menu onboard is all in Chinese. 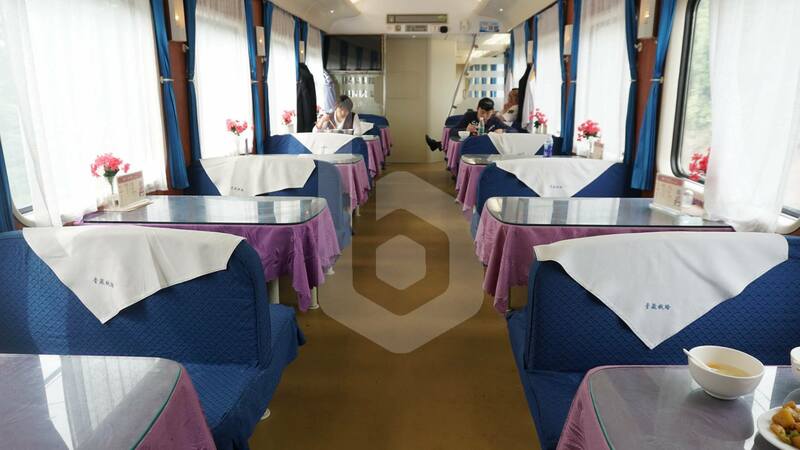 There are plenty of tables and benches for passengers to enjoy their drink or meal. 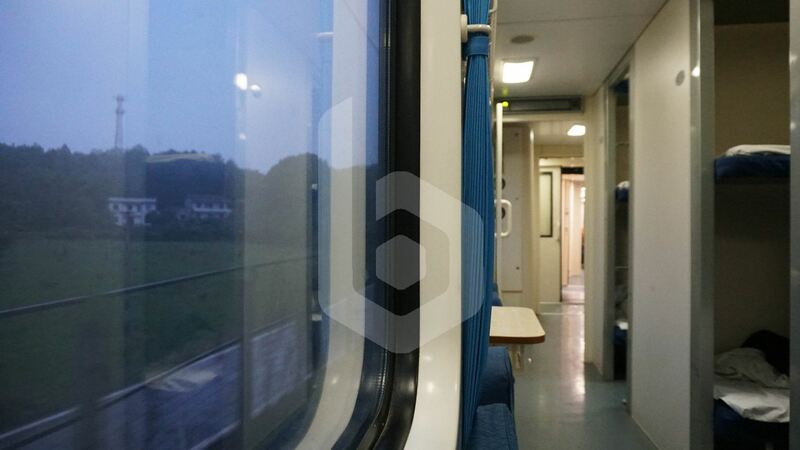 If you are travelling in sleeper class, you can sit comfortably here and enjoy the views from the window. The meals are freshly cooked by the chef onboard. 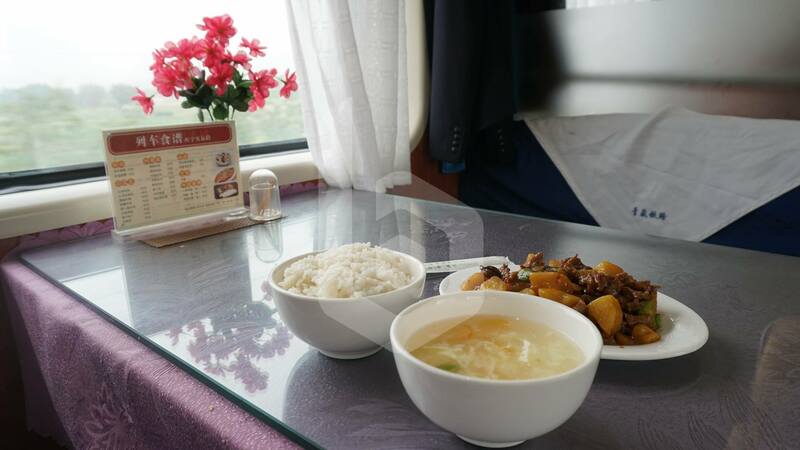 Here is a steamed rice together with a mixture of stewed beef, potato, and vegetables, as well as an asparagus soup. 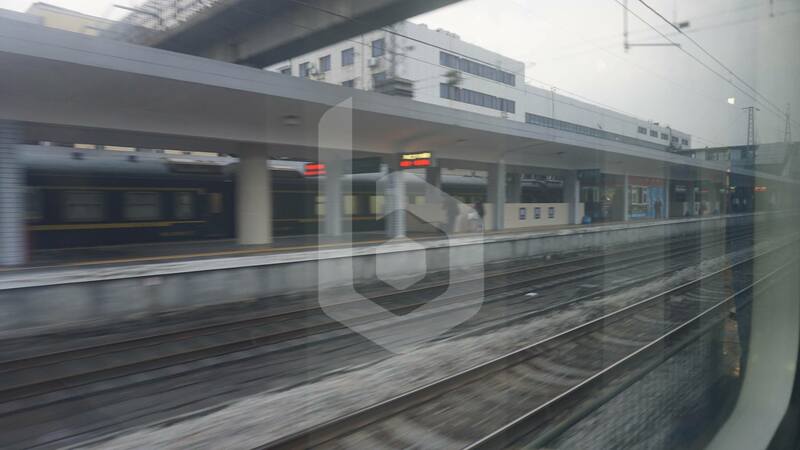 The train Z264 departs from Guangzhou Railway Station at 11:45 in the morning. Once the train has departed, the train attendant will exchange your train ticket for a berth card, and again exchange back just before arriving to your destination. This prevents passengers from missing their station. We leave Guangzhou city behind. 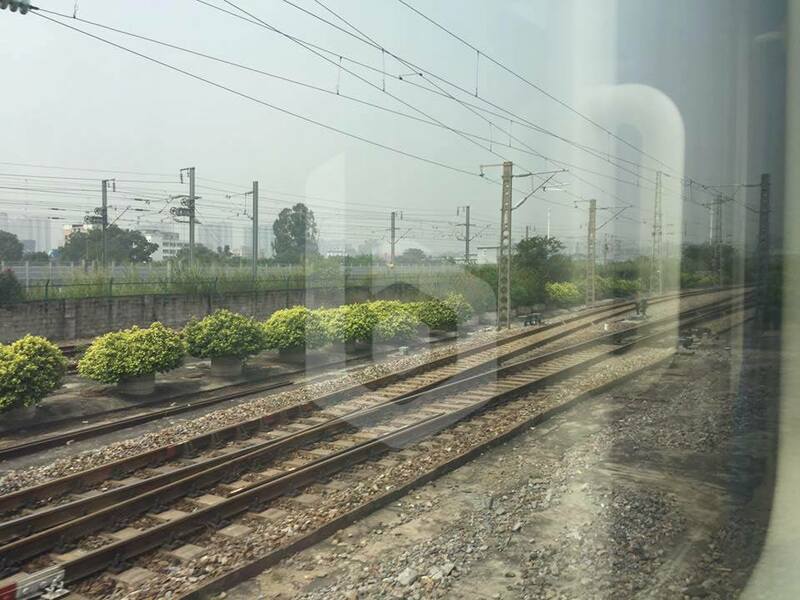 Meeting the Wuhan-Guangzhou high-speed railway from Wuhan and Changsha South to Guangzhou South, and continue to Shenzhen North, and Hong Kong West Kowloon. 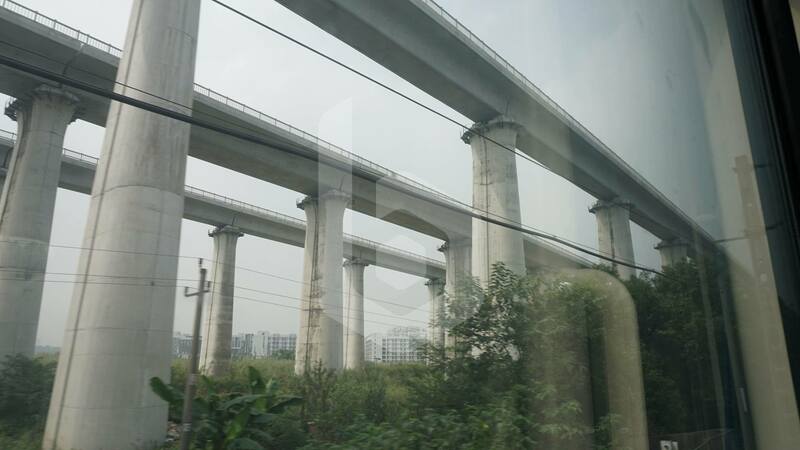 Passing through Guangzhou North Railway Station parallel with the high-speed line. Some conventional and high-speed trains stop at this station. 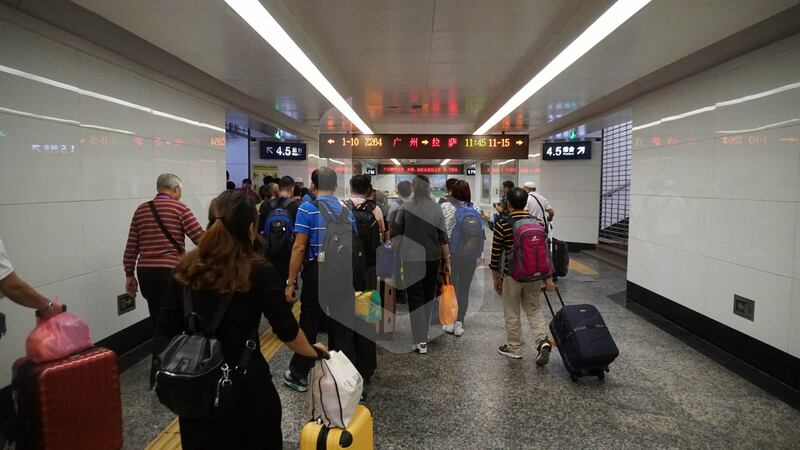 This is also the closest station to Guangzhou Baiyun International Airport. 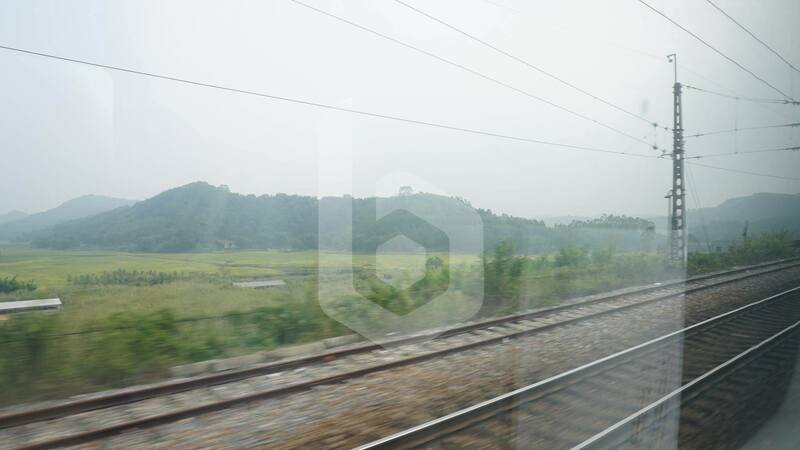 We reach the countryside in less than an hour since the train departed from Guangzhou. As this train is one of the top priority trains on this section, it skips some major stations. 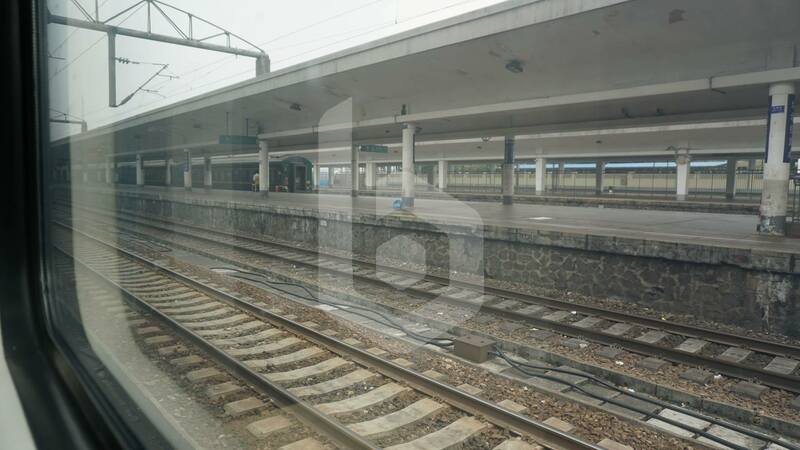 The first stop is Chenzhou Railway Station, around 15:30 in the afternoon. We spot many abandoned SS6B electric locomotives that were taken out of service years ago. 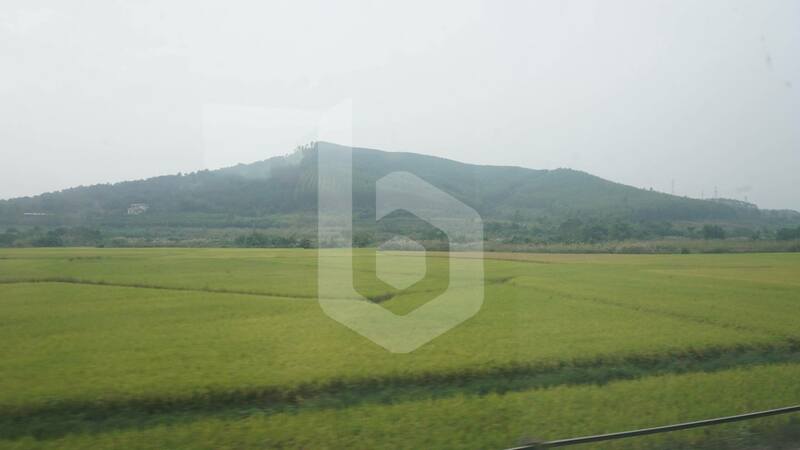 After Chenzhou, the train passes through many rice fields as well as industrial and mining areas in Hunan province. 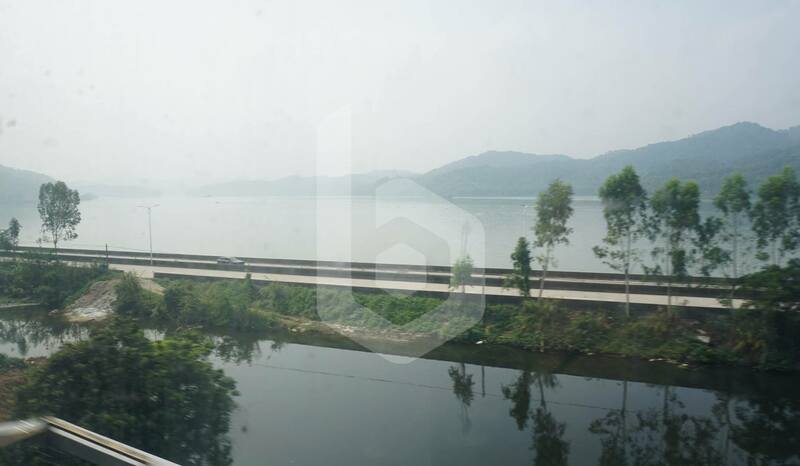 Merging with the Hunan–Guangxi railway connecting with Guilin, Nanning and further to Southwestern China. 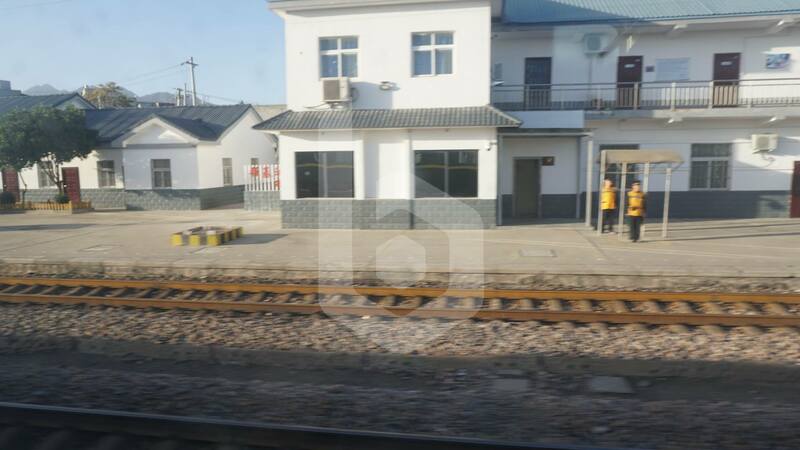 Passing through Hengyang Railway Station, the first station after the merger. The sun sets before passing Zhuzhou. 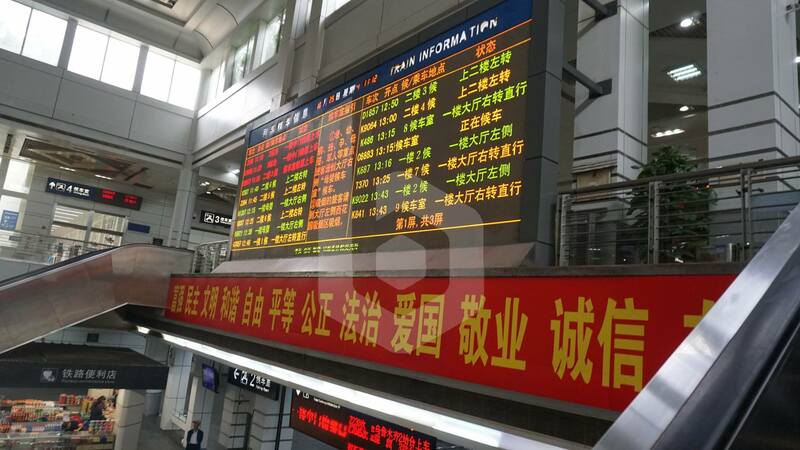 Stopping at Changsha Railway Station shortly after 19:00 in the evening. After 5 hours of journey, passengers can go outside to stretch their bodies and buy snacks from vendors posted at the platform. The crew will call passengers when the train is ready the depart. 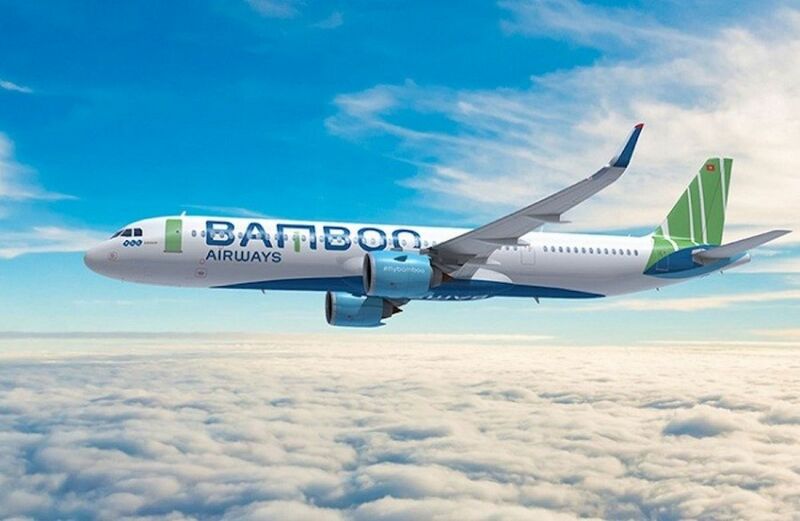 More passengers will board the Z264 at Changsha, as it crosses Central China. 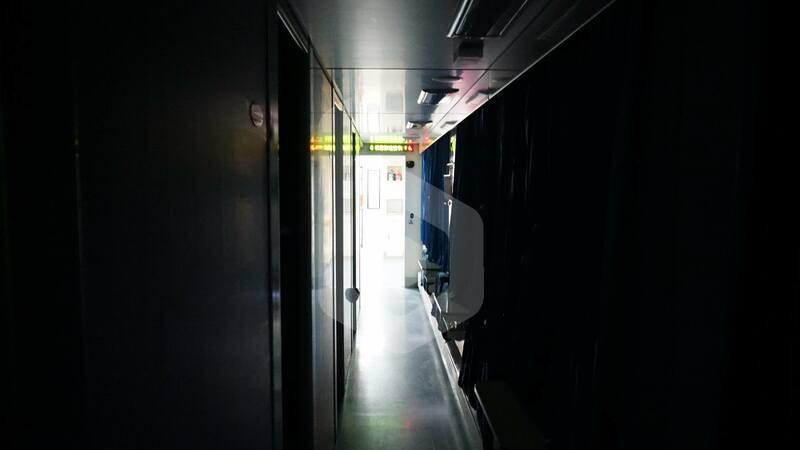 Soon after leaving Changsha, all the lights inside the coach will be turned off for passengers to go to sleep. 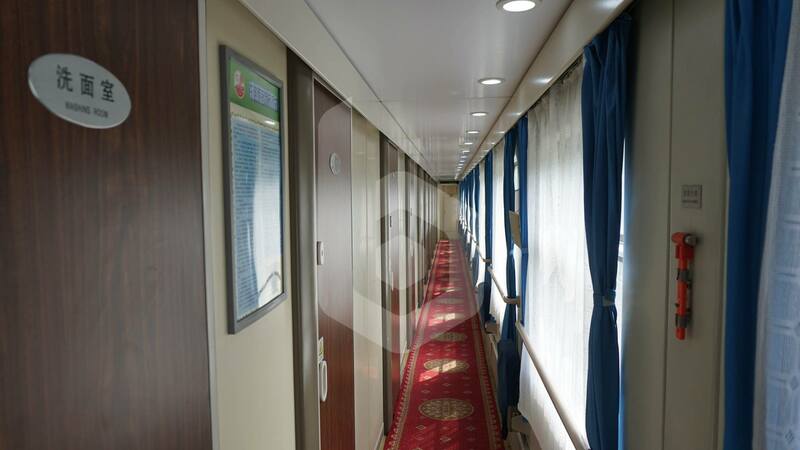 Time to head to your compartment and prepare your bed for a good rest. 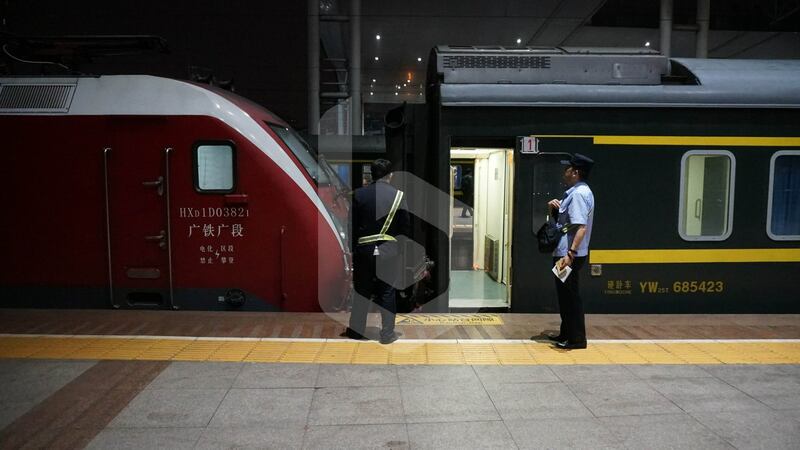 Around 22:30, the train will stop at Wuchang Railway Station in Wuhan. This station is where most conventional trains will change locomotives. Our train will be decoupled from the HXD1D electric locomotive and be replaced by a SS7E electric locomotive to continue the journey north. At this point, you can expect some delays as the first locomotive has to be detached and the second locomotive has to come and be coupled to the train. Passengers are called back and the train is ready to depart. 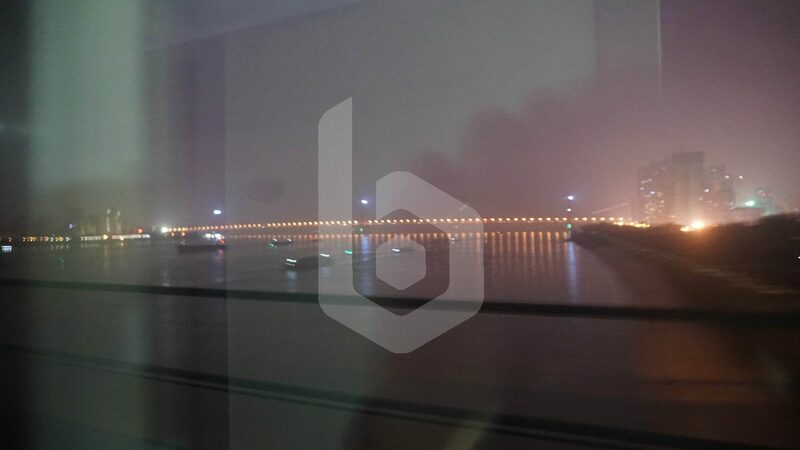 Leaving Wuhan crossing the Yangtze River Bridge. 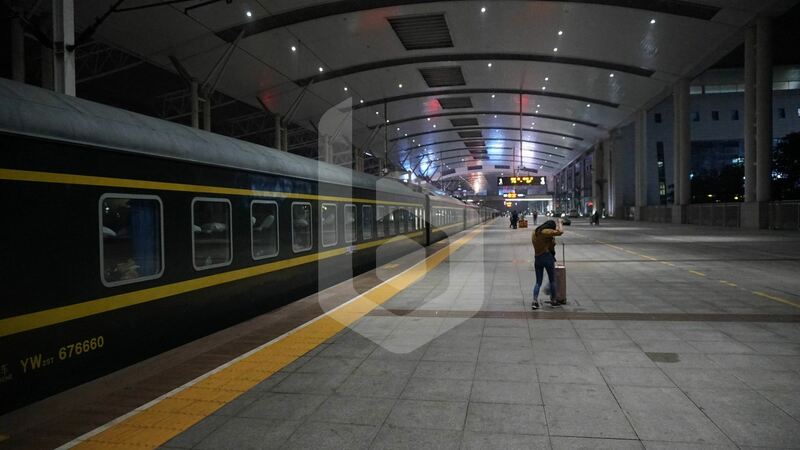 Nearly around 3:30 in the morning, the train will make a stop in Zhengzhou Railway Station. 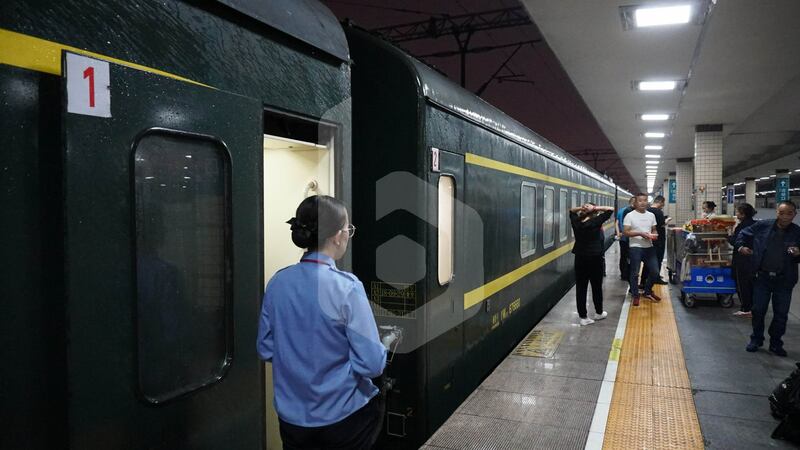 Passengers boarding from Zhengzhou onward will see this train number as Z265. 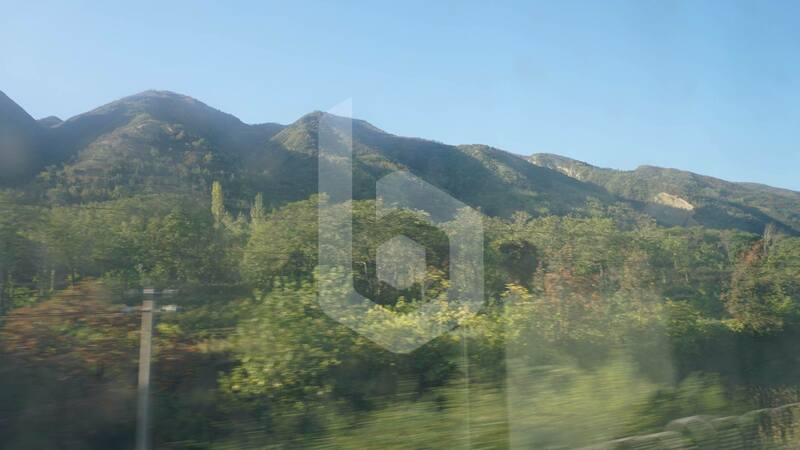 The breathtaking views of the Longhai railway in the early morning, a steep and mountainous railroad with many curves passing through Henan and Shanxi provinces. 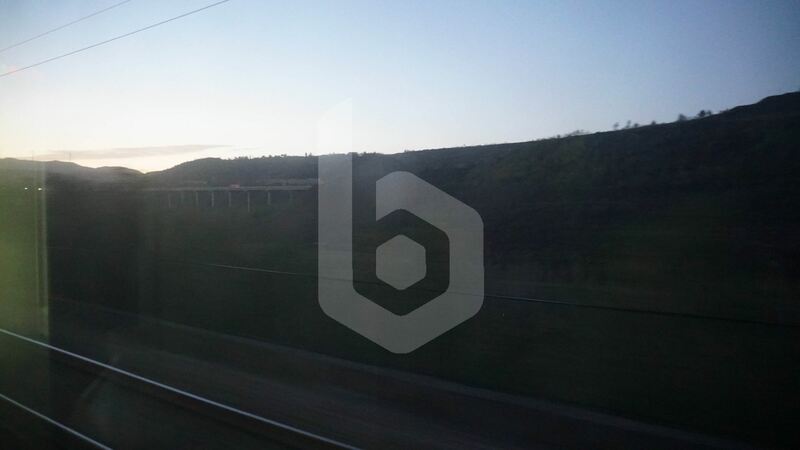 As the sun rises, the train crew starts to open the windows of the coach. 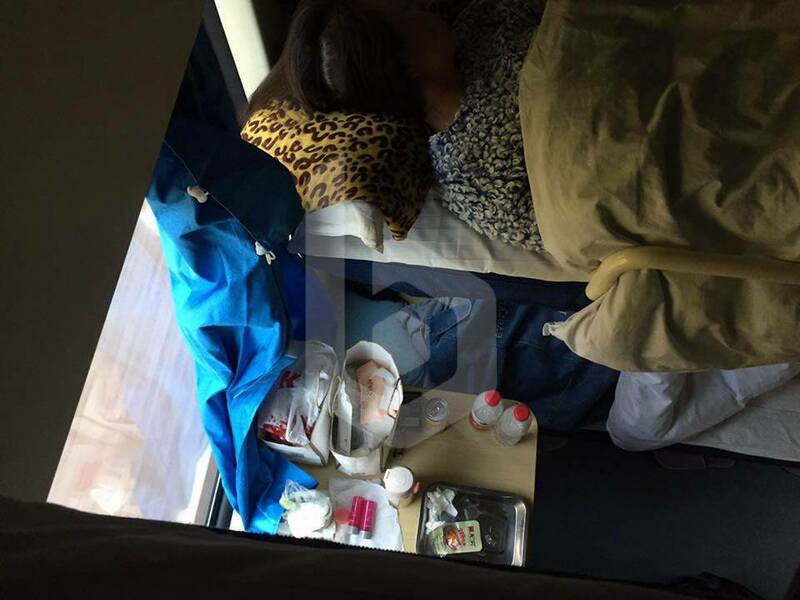 This is our view from the upper berth of the hard sleeper compartment while waking up in the morning. Most passengers will continue sleeping. More views of the Longhai railway crossing forests and mountains. And passing through small rural stations along the line, all of them still using low platforms. 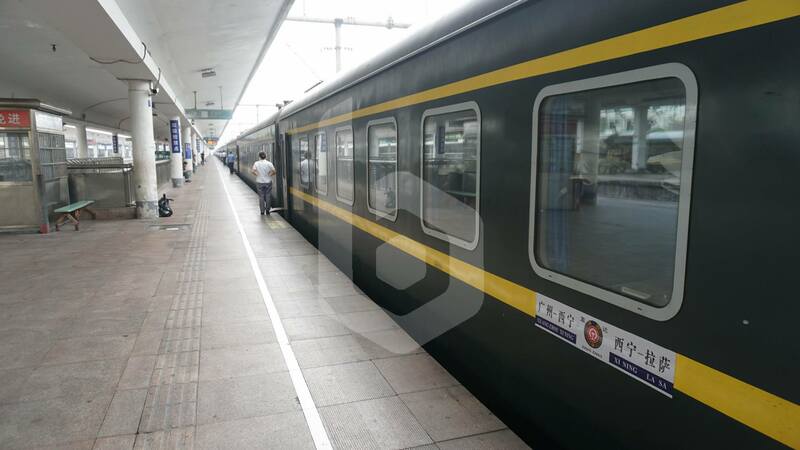 The train will enter the suburbs of Xi’an around 09:00 in the morning. Arriving to Xi’an, the capital of Shaanxi Province. 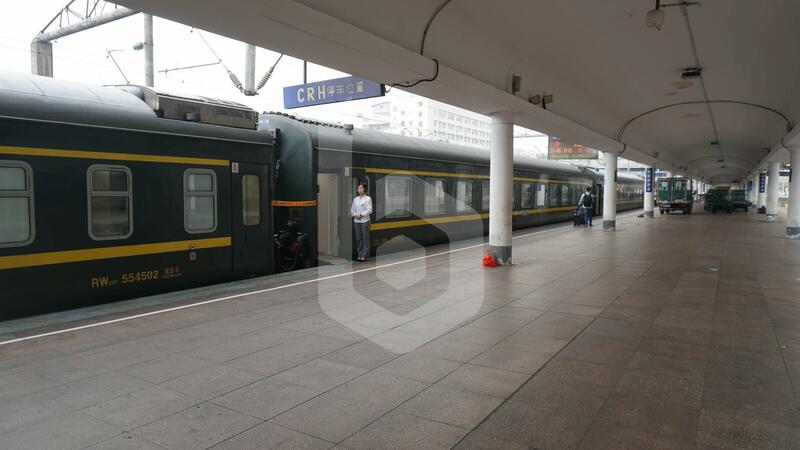 The train arrives to Xi’an Railway Station around 09:30, after 22 hours since it departed from Guangzhou. Here in Xi’an, the train driver will be replaced. Some details about the SS7E electric locomotive hauling the Z264/Z265. 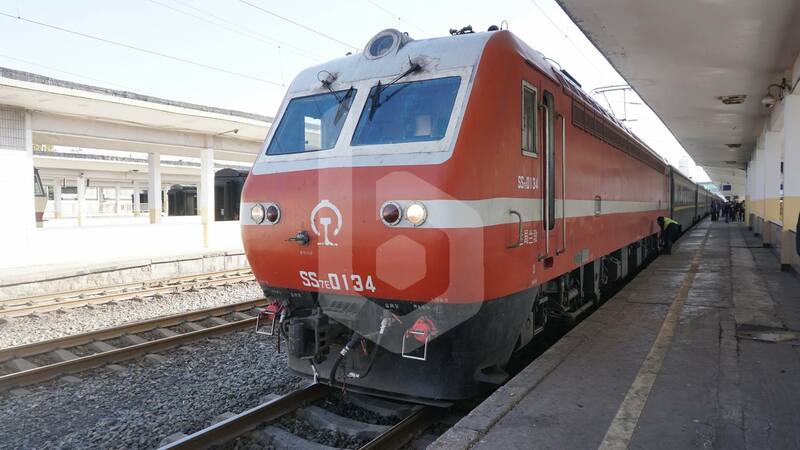 It is specially designed for the Longhai railway, the bogie is flexible to encounter the steep sections and curves in the mountainous regions in Shaanxi and Gansu provinces. 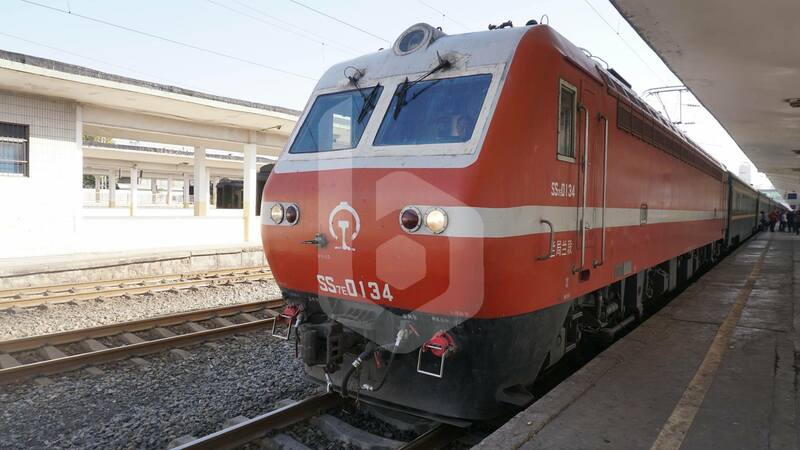 The locomotive also has a maximum speed of 170km/h and is capable to haul Z-class trains at a maximum speed of 160km/h, the fastest for conventional trains. 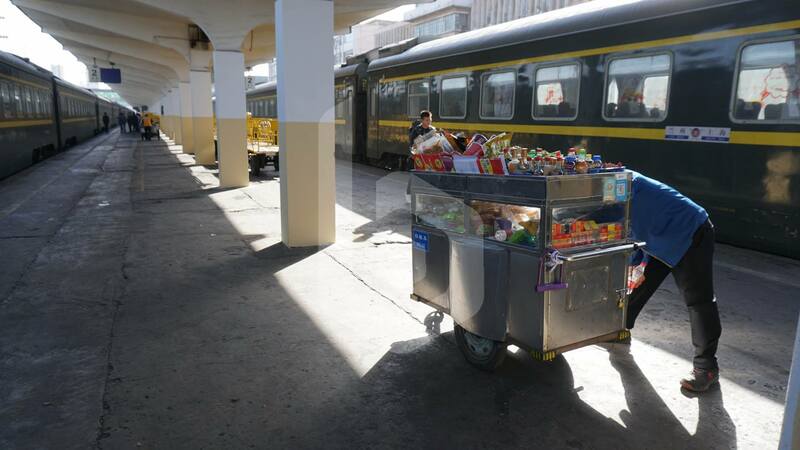 Passengers continuing their journey to Xining or further to Lhasa, Tibet can buy snacks from vendors selling at the station platform, then soon call for boarding. 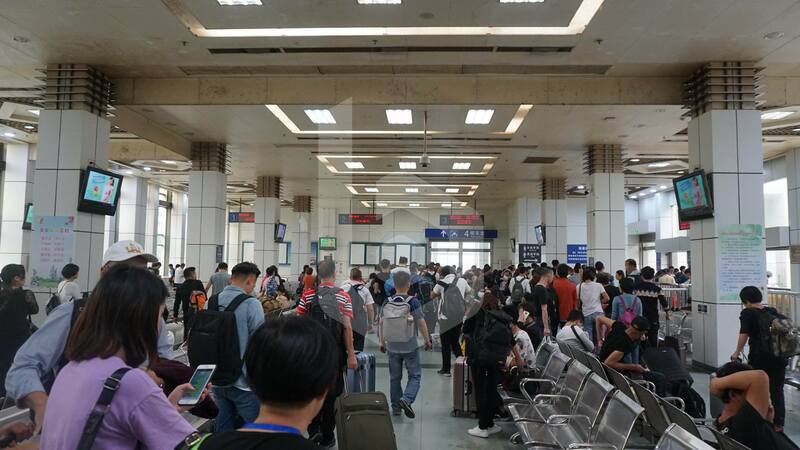 Xi’an Railway Station has not been upgraded much, as compared to other railway stations in China. Platforms are still low-floored. To exit the platform, follow the exit signs and head down to the underground passageway. 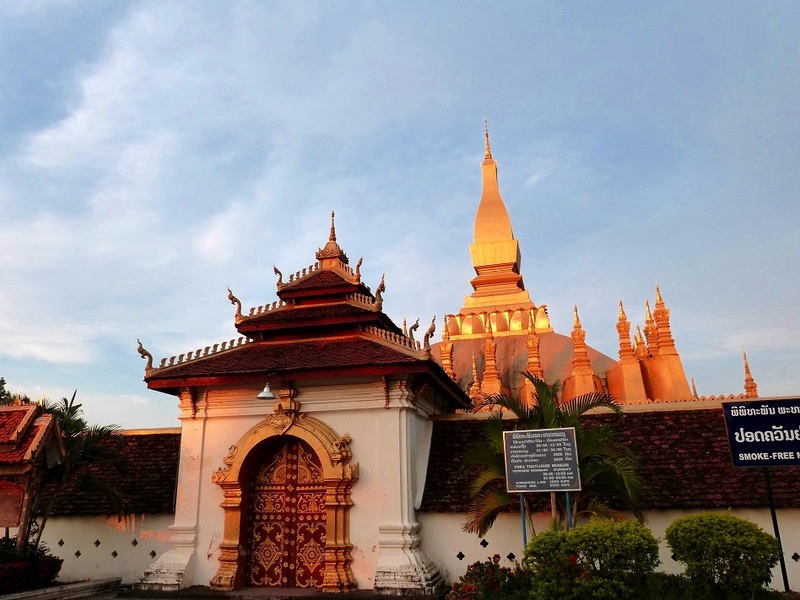 Walk along the passageway to the exit. Again, as the station has not been upgraded, there are no automated ticket gates for blue tickets at this station. Simply show your train ticket to the staff posted at the exit. 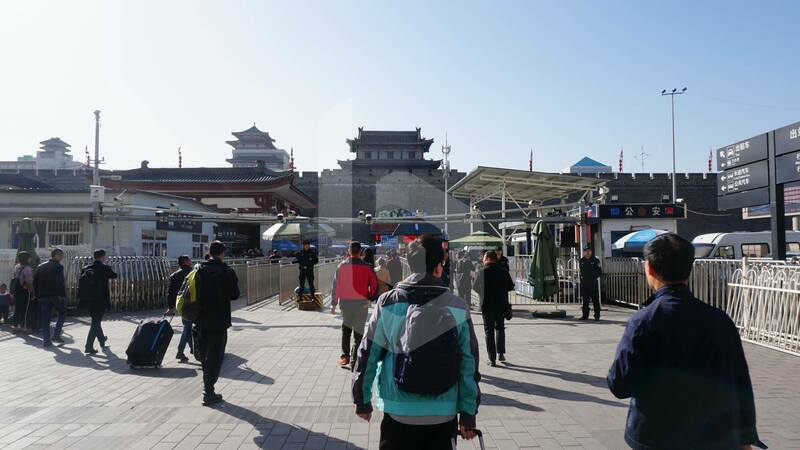 Right after exiting the station, you will fine the North gate of Xi’an City Wall, one of the main tourist attractions. 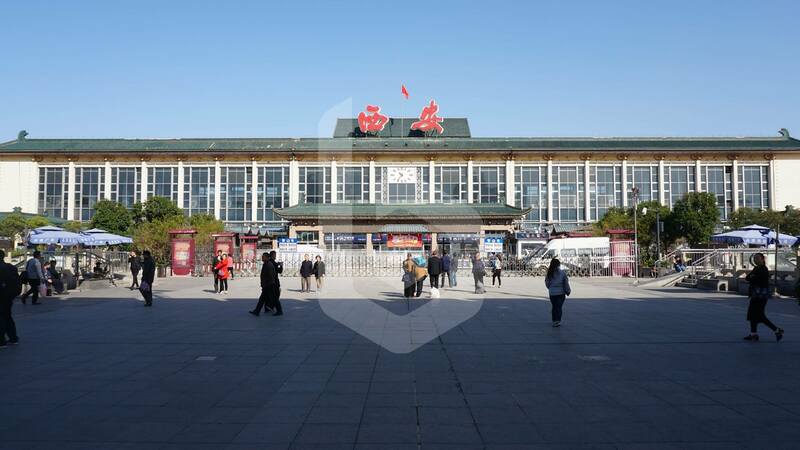 The classic facade of Xi’an Railway Station building. 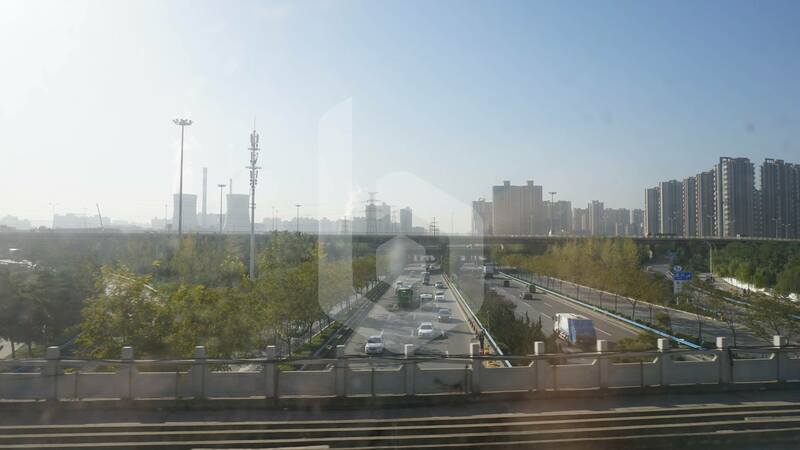 Xi’an Railway Station has no direct access to the Xi’an Metro until the construction for Line 4 is complete. The nearest Xi’an Metro station is Wulukou Metro Station. 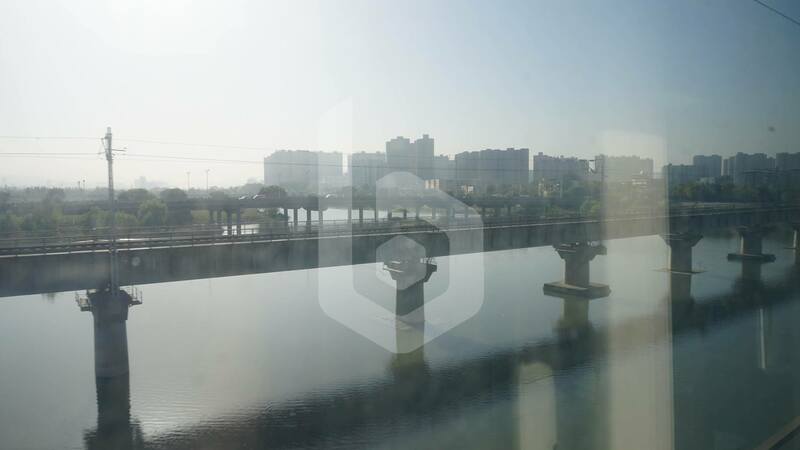 Just walk straight along the main road, Jiefang Road until the first roundabout and the metro station is there. Xi’an Railway Station Bus Terminal is located on the right side of the station courtyard. 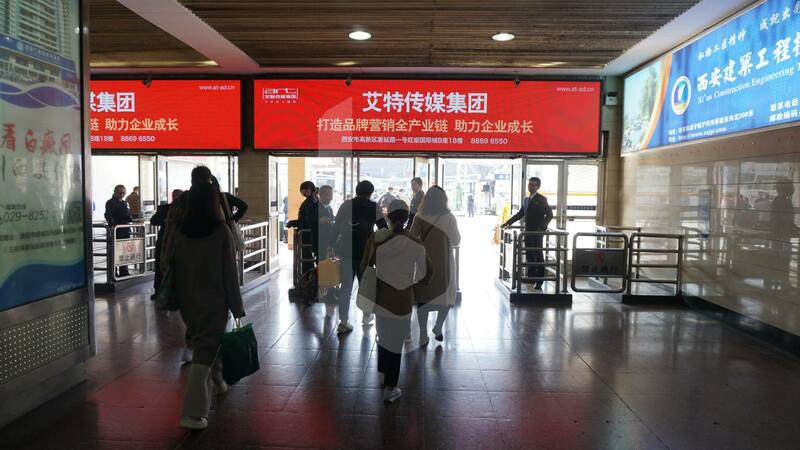 For those who are heading to the Mausoleum of the Terracotta Army, take bus 306 from the station’s bus terminal. There are two bus companies bearing the same number and route to watch out for. 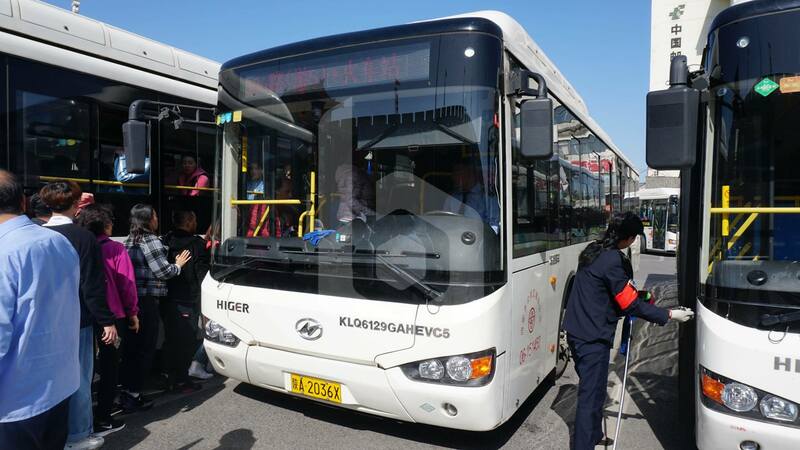 The city bus version has no air-conditioner with plastic seats and does allow standing passengers. 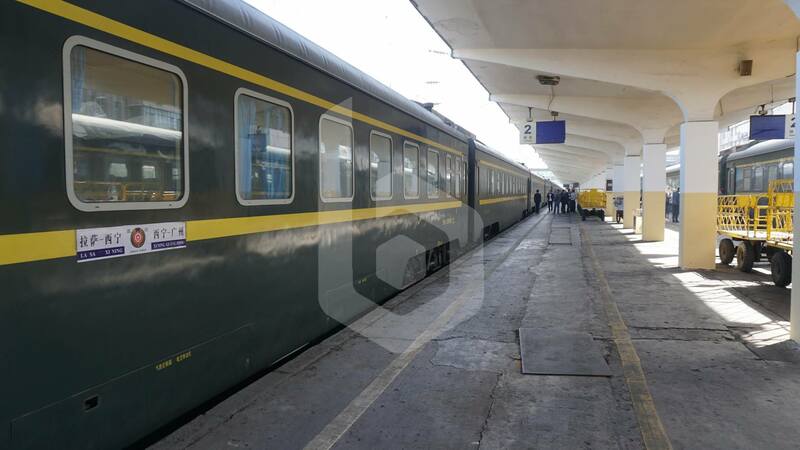 The other one is the coach version that has air-conditioner with leather seats which is more comfortable with no standing passengers, but it has a higher fare. Overall the Z264 is the fastest direct express train from Guangzhou to Xi’An but the 22-hour journey can hardly compete in travel time with the 7-9 hours taken by G-series high-speed trains or the 2 hours 40 minutes by airplane, although fares are much more affordable and travelling in a sleeper train across China is a experience itself. 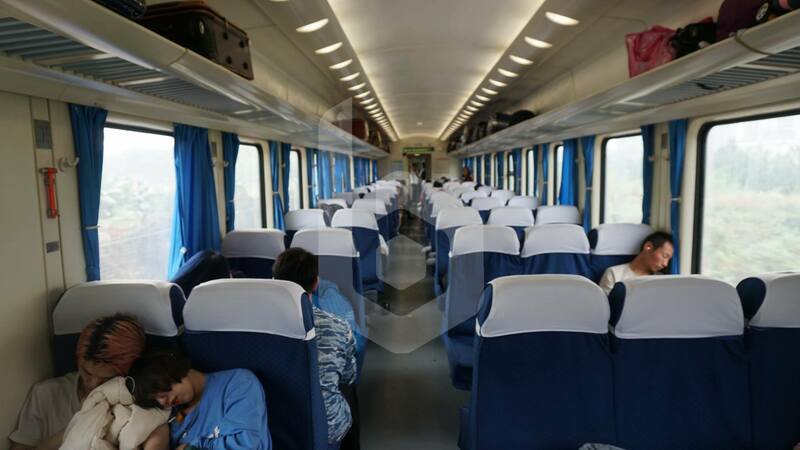 Baolau lists conventional and high-speed railway services available, so you can compare and select the most convenient schedule and available fare. Fill in the passenger form and select your berth preference. Complete your payment before submitting a booking request. Once your reservation is processed, you will receive by email your ticket confirmation and our electronic voucher containing the ticket collection number issued by China Railway. The electronic voucher is not a valid boarding pass and it cannot be used to board the train. Passengers must present a printed copy of the electronic voucher displaying the ticket collection number at the ticket counter of the railway station along with the passport (and passports from the accompanying passengers) to collect the physical ticket. 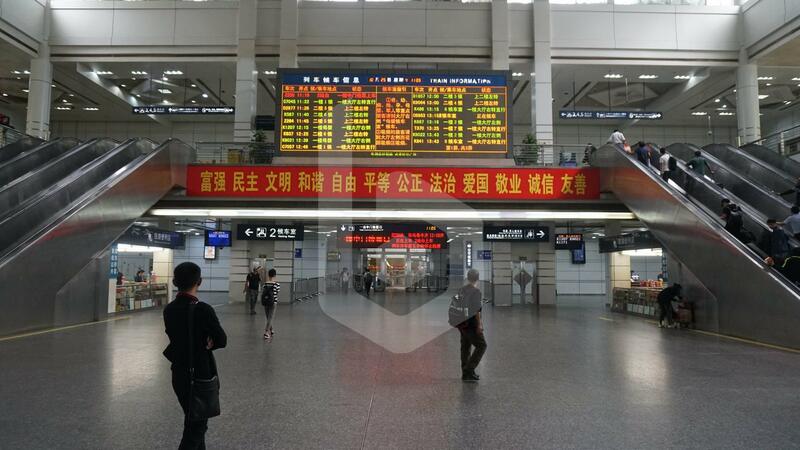 Passengers can collect the tickets at Guangzhou Railway Station anytime in advance. If you wish to collect your ticket on the same day of departure, we recommend that you arrive at the station at least 2 hours in advance, since there may be queues at the ticket counters and you may risk missing your train.